630 in the real thing and what should I do right now? I'm writing rather disappointed because of what happened. I studied for 4 full months in 2017-2018 (Mid November 2017 - Mid March 2018). Then, I stopped till November 2018 when I started again until monday. I've been scoring 660+ (in veritas and in every single free gmat mock test). I even scored 660 and 680 in the official mocks. That's why I was expecting a similar score on gmat, but to my astonishment, I only received a 630 (Q43 V34). First off, I started with Verbal. I got so nervous that I was literally stucked almost 1-2 minutes looking at questions without even understading anything from them, but even so the verbal score was decent (the minimum that I expected). Then, I continued with the Quant section, which I thought I was crushing (I didnt get nervous. I was super relaxed). Many questions were really tough in the middle of the exam, but then I saw a Q43. To tell you the truth, Quant was my stronger side. I was getting really good scores in Veritas (Q49), in gmatclub tests and in the official ones (at least q48). The 630 score is not useful for me as I want to apply for top mba programs. I was thinking about studying from MGMAT and OGs... As I noticed almost 3 weeks before my exam that MGMAT provides strategies tailored made to avoid stupid mistakes, which I used to make (4 or 3 every test). If you can provide me any suggestions on this, I will be glad. Please, consider that I will start studying in November, so I will have to start over again. A little bit of background. I've been studying from Magoosh, Advanced Quant from MGMAT, PowerScore CR bible, Powerscore RC bible, OGs 2018, LSAT RCs and LRs and an economist journal subscription. I would like to note that I first started in 2017, studying from MGMAT, which I then stopped using as all the strategies developed to avoid silly mistakes seemed to be useless to me ( too much time to make a chart, but well, now I know what's the value of those strategies....). Regarding the tests, I used the official free ones, veritas ones and many free gmat tests. 1) You admitted that you were consistently making lots of little mistakes during your CATs. 2) Since March 1st, you were studying over 40 hours a week (and you stated that you might study up to 70+ hours a week). Based on your Official Score, you almost certainly continued to make the same little mistakes that you were making during your CATs. The root 'cause' of those mistakes is likely based on how you took notes and your general organization - but you might have also been approaching questions in ways that made it MORE likely for you to make a mistake (especially if "your way" of approaching questions was complicated or disorganized). Beyond that, if you truly did study that much over the last several weeks, then there's a reasonable chance to that you were a bit 'burned out' on Test Day - and unable to perform at your best. From your prior posts, I understand that you will likely be too busy over the next 6+ months to study for the GMAT, so we can plan to discuss how to get back into 'study mode' later on this year (as we get closer to November). You can feel free to contact me directly whenever you're ready to restart your studies and we can discuss how to proceed. You might also choose to purchase the Enhanced Score Report for this attempt. While the ESR doesn’t provide a lot of information, there are usually a few data points that we can use to define what went wrong (and what you should work on to score higher). If you purchase the ESR, then I'll be happy to analyze it for you. It's always nice to hear from you. 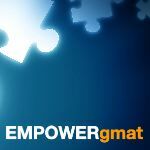 I will send you the ESR in November and give empowergmat course a try. Hi patto, I would definitely re-appear once. patto - From Q49 to Q43 is quite a drop. Did you get some previously attempted questions during your practice tests? You will need to figure out the cause of this drop and prepare accordingly next time. During your daily commute or while travelling or whenever you get some free time in the day, check out a few solutions (each video is approx 3-5 mins long). This will help you stay in touch with basics even though it won't take any effort. Also, if you wish, as part of your daily reading, go through a couple of Blog posts every day in the next few months. Even this much passive study may be enough to ensure that you start off from where you are leaving. I understand you could not score as per your expectation. This time with proper planning and execution you will surely be able to reach your target score. The drop in Quant score is significant. Could you apply the processes properly in the actual test? To understand the problem better please share your ESR with us, if you have it available. Many students face such test day fluctuations and can overcome the same as well. Learn how Urshila improved her score from Q42 to Q49. For you, the good thing is you have a decent understanding of verbal and will be required to focus mainly on improving the application skills. Overall, to improve in both Quant and Verbal it is important to identify the areas that will give you improvement. You can take Verbal Ability quiz or Quant Ability Quiz to identify the specific topics and question types that you are weak in. Then work on these areas to improve your ability. You can do so with existing resources or start with the free resources shared below. You can get access to a lot more of these videos and practice questions once you sign up for the Free Trial. As you prepare, keep hitting the target ability in each sub-section required for reaching your overall target. You can find out the precise targets using Personalised Study Planner. This will ensure GMAT is no longer a black box where you expect a certain score but, be sure of reaching your target as you build the required ability in each of its component sub-sections. Lastly, learn the tips to make the best use of mock tests and be test ready. As you are planning to start your studies in November you can reach out to us closer to starting your preparation. 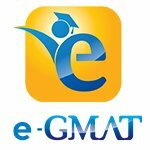 You can drop a mail at support@e-gmat.com, referencing this post or schedule a call to discuss the preparation strategy in detail.